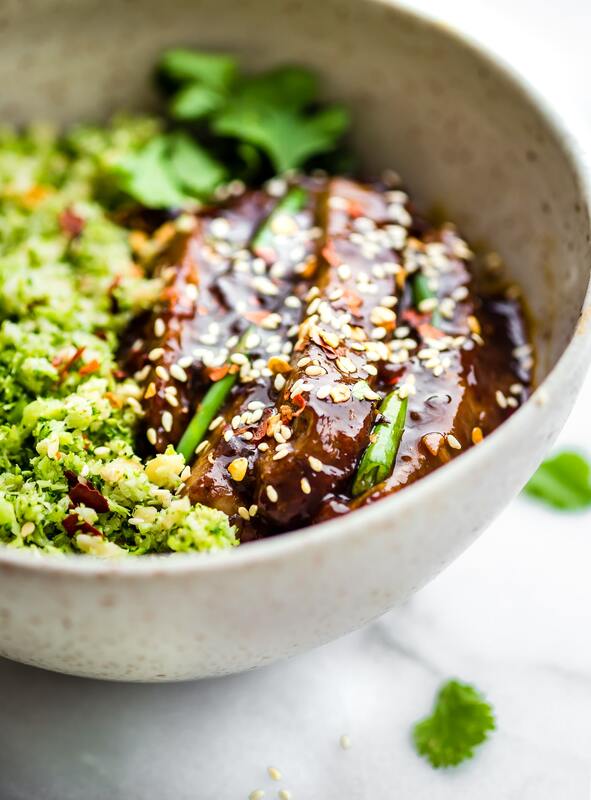 Paleo Mongolian Beef Broccoli “Rice” bowls are easy to make in just 30 minutes! 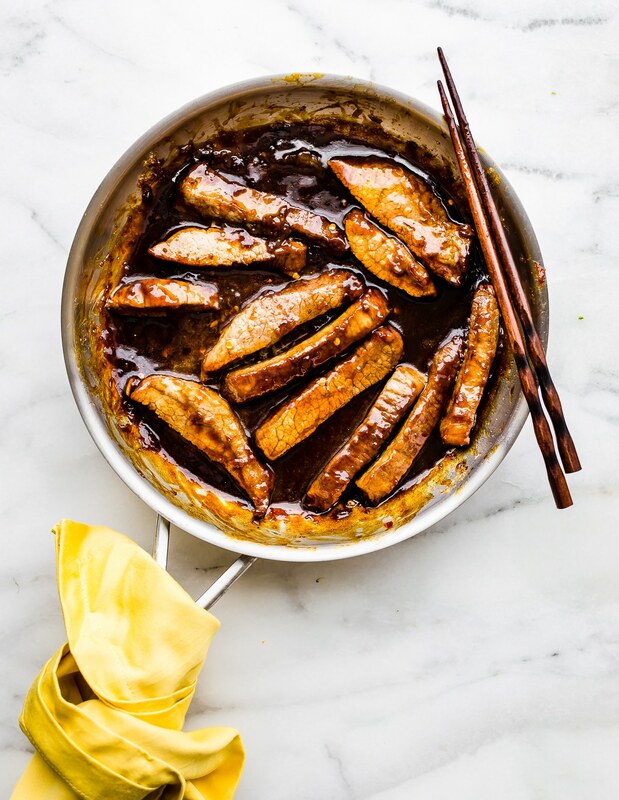 Light, and full of garlic and ginger flavors! 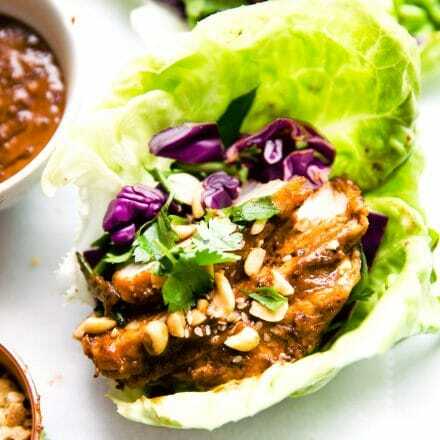 An Asian inspired homemade take out recipe for you and your family to enjoy. Gluten free, too. Who’s feeling the Friday stay at home night vibes? Who’s feeling… saucy? As in, don’t mess me with me and my takeout night. Cheeky, sassy, craving all things Asian! Anyone? Bueller? Ahhh yes, me me me!! I’m that girl. 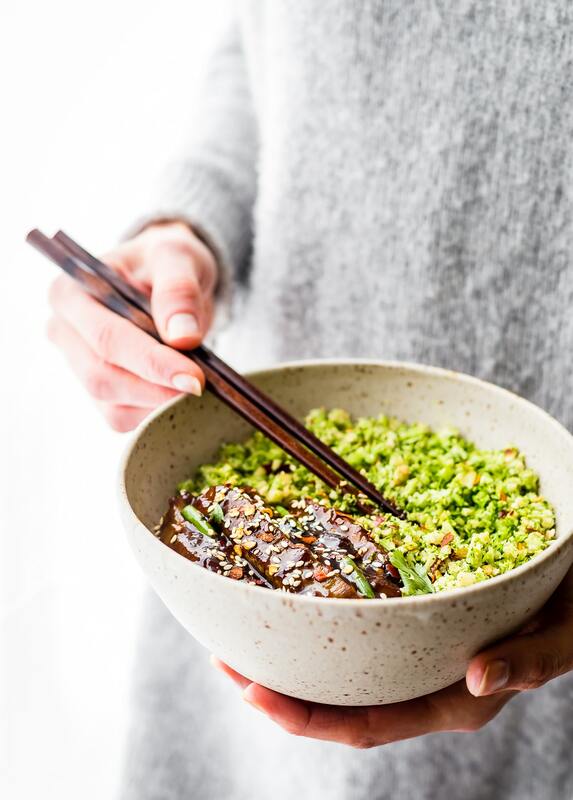 Friday night, PJ”s, glass of wine, homemade takeout (um, in the form of these Paleo Mongolian Beef Rice bowls, duh! ), and a movie on the couch. Cute kiwi (husband) by my side. Lame? Nah, just what we do to recover from a crazy week. ZONE OUT! But can I let you in on a little secret? Well, two secrets. One, this dish was totally created with just leftover veggie and meat I had on hand. I titled it saucy because, like I mentioned above, I’m feeling saucy. But also, the homemade sauce on this paleo Mongolian Beef is pretty much unreal. Savory and sweet and TO DIE FOR! Ya’ll, coconut sugar makes it even richer!! What’s up with the broccoli? Well, I “riced” it. Because that’s what I do. Stretch the heck out of veggie ingredients to make them SHINE. Plus I always wanted to “rice” broccoli just like cauliflower. Yes, I am calling it paleo, or paleoish really. Because that’s also WHAT I DO. Try to DEFINE food so that people with food allergies can make it with ease. Also because we all need more QUICK simple wholesome recipes, yes? That’s my mission here folks. You know this. Or at least you do now. Second secret. I’ve got one more little meal plan post to do on Monday, then I’m taking a staycation. Meaning, I need Spring clean and organize our life. Like whoa! I haven’t even unpacked all our stuff since the January move. Sadness. Oh and I’m going to finish taxes. Yes, pat myself on the back for that. We are also going to take a weekend trip to Moab. Hiking and exploring. We’ve had a couple snowmagedden months stuck inside. We NEED OUT! We also need time to not work. Not think about work. Not stress. Not plan. You know what I’m saying? Big scary projects are on the horizon, but before we dive deep into them, I think it’s important to rest and digest the present. As you can see, I’m trying to take my own advice here. Slap my hand if I don’t. Mmm k? 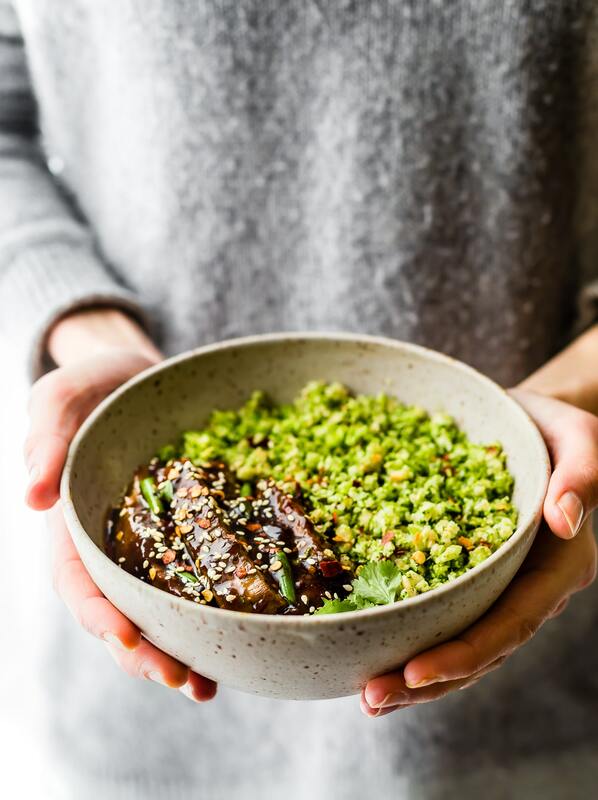 Speaking of present… let’s get back these Paleo Mongolian Beef Broccoli “Rice” Bowls. These are the ultimate IRON BOOSTING bowls. 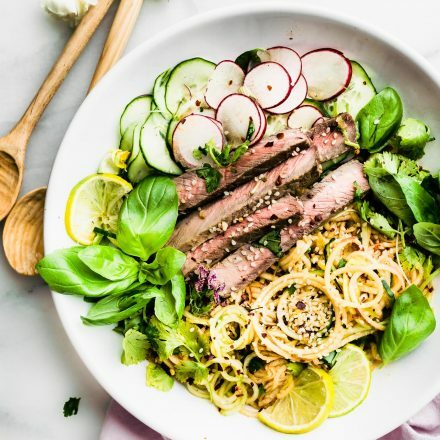 Packed with protein, fiber, flank steak meat, and vitamin C rich broccoli rice. 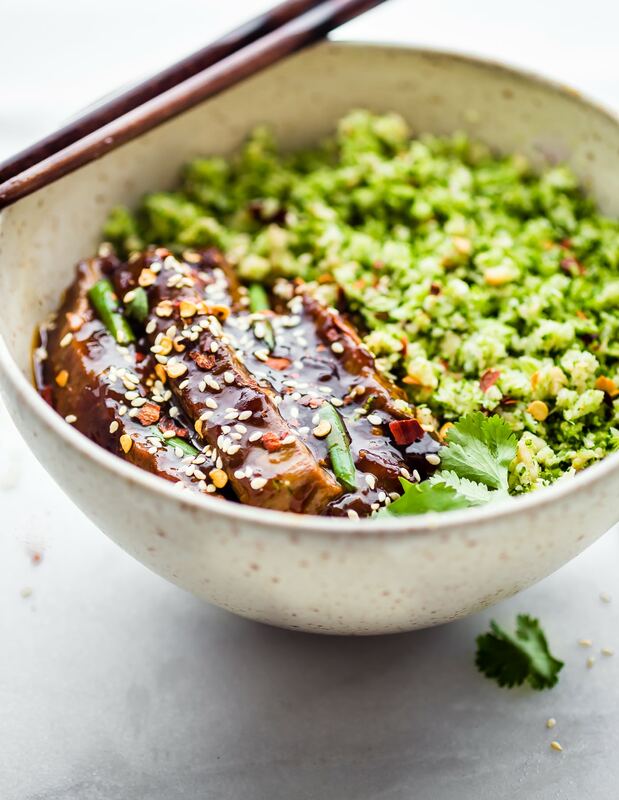 The broccoli rice let’s soaks up all the flavors of the sauce to create one magical light Asian inspired meal! For reals. Plus it takes oh.. maybe 40 minutes to make? Good for leftovers and then some. 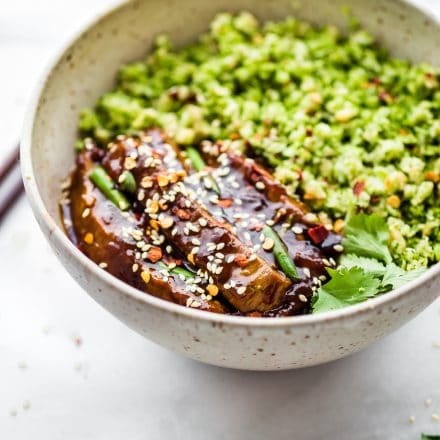 Here’s what you need to make your Mongolian Beef Broccoli “Rice” Bowls. Sorry, I have a current obsession with listing ingredients. Go with it. Potato starch or arrowroot starch (non paleo can use corn starch). I do not recommend Tapioca starch. It gets all jelly- like. Lesson learned there. WHOOPS! And of course optional Coriander and Asian/Thai red pepper to SPICE it up. 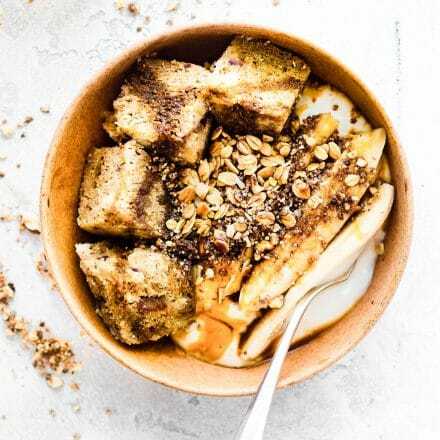 Ready, set, let’s rock and roll this power bowl! 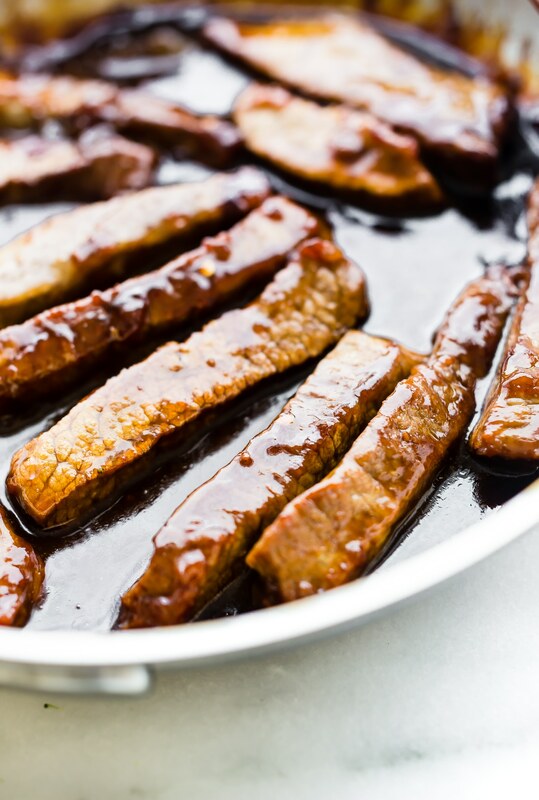 You’re gonna love this quick Paleo Mongolian Beef recipe. See, you want to cuddle up with this bowl now, right? Oh yea! DO IT! What’s your favorite homemade takeout meal? Come on… get saucy! Happy weekend and I hope you can sit back and relax tonight with a movie and takeout. Life’s little pleasures! I riced broccoli for “fun” the other day. Loved it and I’m a alll about staying in on a Friday night. Man I really need a life! 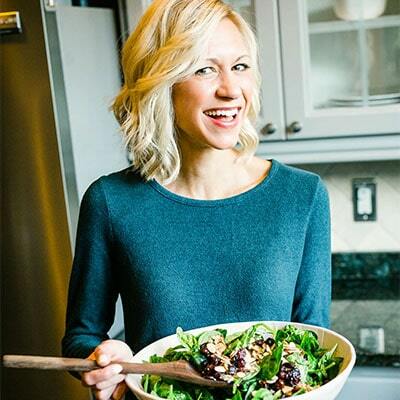 I need to rice broccoli–usually I”m so focused on my cauli rice! THis weekend I have to relax… doctors orders. Oh and I fell asleep at 8 last night. totally thought of you! BEEFY! YES! I am a new fan of riced broccoli- I usually go the lazy route and buy it pre riced, but broccoli and beef is a perfect match! Hey, that sounds like the perfect Friday evening to me! 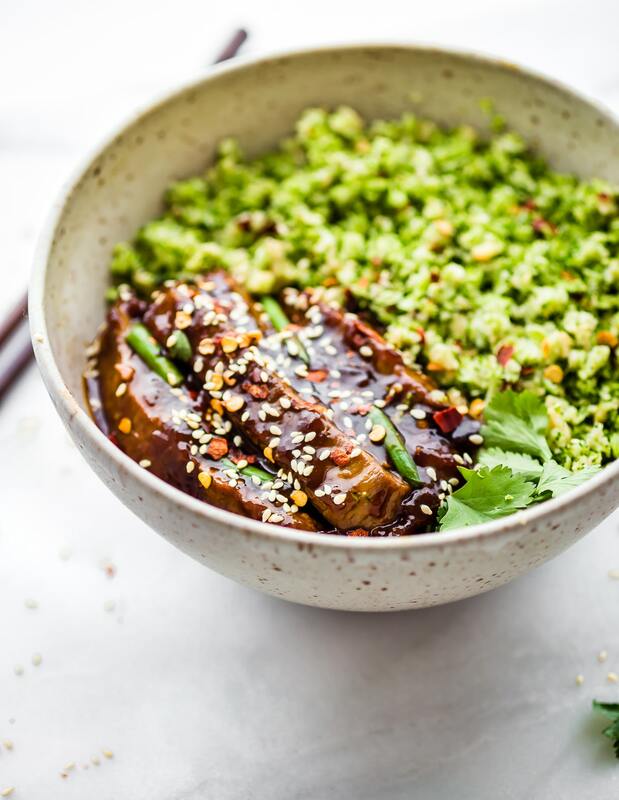 Broccoli rice is always a favorite in my household and that saucy beef is making me drool! Definitely the perfect healthy takeout fakeout on a chill Friday eve! This looks so amazing! Lover of saucy food here, and I will definitely be trying this. Yum! 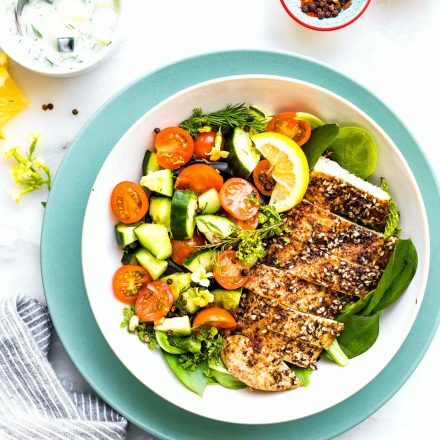 This looks super healthy and packed with flavour, I wouldn’t mind a bowl right now! I’ll try to reach through the screen and serve you .hehe! This looks delicious, I had cauliflower for the first time a few days ago. Broccoli sounds like a tasty alternative. I love the photos on this. Oh it is! Hope you’ll give it a try too! Thanks Angela! I am going gaga over these photos! The broccoli rice sounds intriguing! 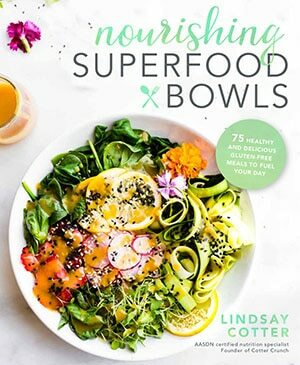 I’ve only ever had cauliflower rice, but this is a curious and colorful addition to a bowl! Brilliant! oh you gotta try the broccoli then Tina! We’ve really been on the “bowl meal” band wagon. I think I’m going to like the broccoli rice a LOT! Great recipe, too. yea! it’s been fun to make! keep me posted on if you try it! I’m a big fan of quiet Friday nights at home too. Better yet if it includes take out! 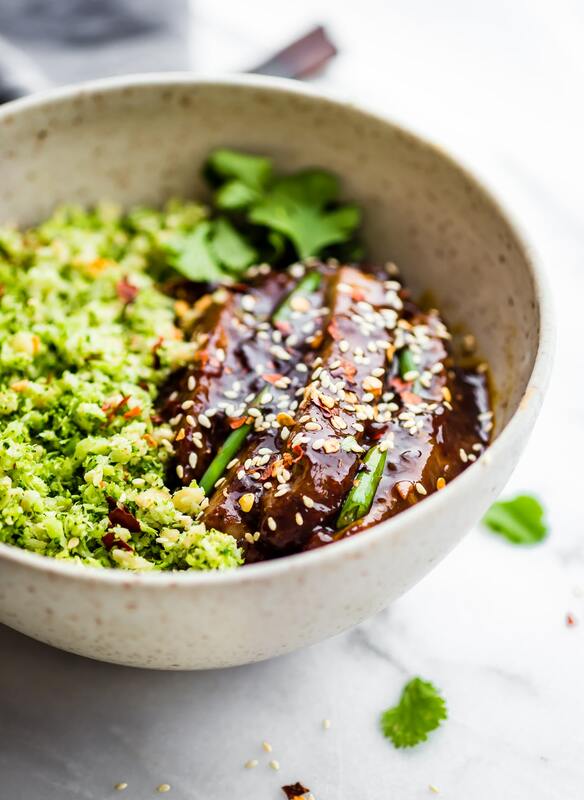 Your healthier Mongolian Beef looks like saucy perfection! Have a great weekend, Lindsay! Yes, quiet and cozy and saucy. LOL! WOO! I LOVE Friday nights at home; they are such a wonderful end cap to the week. And I’ve never heard of riced broccoli before now; it’s such a pretty bed for the beef. We love saucy beef at our house on rice. me too!! so fun to just relax in pj’s lOL! tamari is more Unami. I LOOOOVE IT! Broccoli rice is such a clever idea! This looks so so delicious! These look so freaking amazing! you would love this ABby! Thanks so much for posting this recipe, I’m pinning it to my “what to make next.” 😋Can you tell me which Thai red pepper you use and do you have a link? 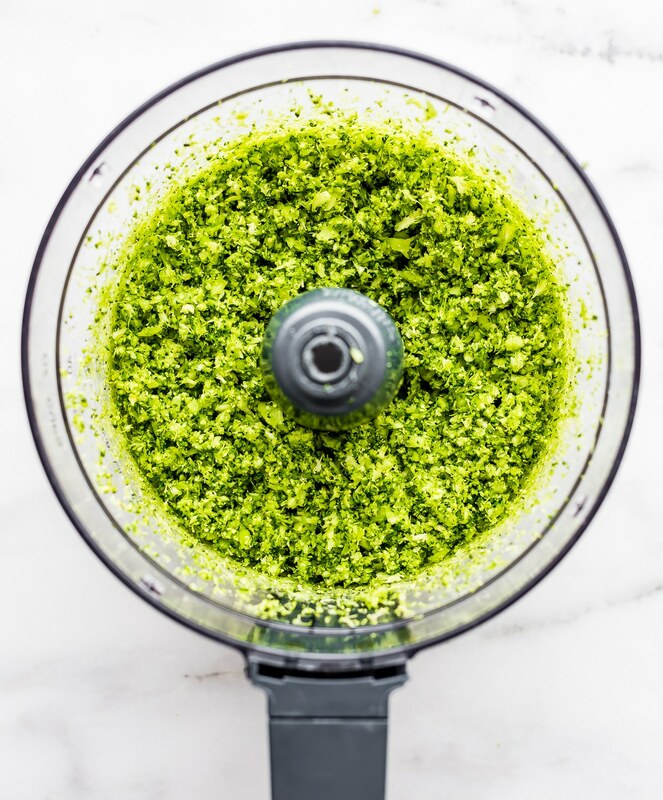 i missed this recipe when you first posted, can’t wait to make it. This recipe was AMAZING. I used cauliflower instead of broccoli, just so the laziness factor – it came riced. I’ve made two of your recipes so far, and they’ve both been to die for. So happy I found your blog and will be coming back often!